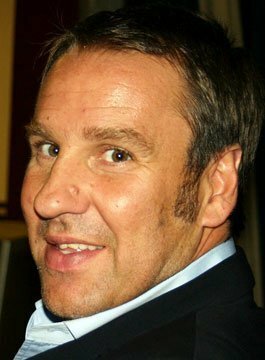 Paul Merson is a Former Arsenal, Aston Villa and England Footballer. Born in London, Merson started his career at Arsenal, joining the club as an apprentice in 1984. After a stint at Brentford, he made his debut for ‘the Gunners’ in November 1986. By the 1988-89 season Merson was a regular on the right wing, with Arsenal securing the First Division title. Merson scored ten times that season, furthermore he debuted for England’s U21’s, and awarded PFA Young Player of the Year. In 1991 Merson also made his debut for the full England side. Arsenal won another League Championship in 1991, both the FA Cup and League Cup in 1993 and the Cup Winners’ Cup in 1994. During November 1994, Merson admitted to being an alcoholic and cocaine addict, placing his career in doubt. The Football Association arranged for Merson to undergo a three-month rehabilitation programme and he returned to the side in February 1995. At the end of the 1996-97 season, he was sold to Middlesbrough for £5m. This made Paul the most expensive player ever signed by a non-Premiership club. In total Merson played 425 times for Arsenal, scoring 99 goals. Paul Merson was a key player for Middlesbrough’s promotion success as Division One runners-up in 1997-98. Merson also held the distinction of being the only player in England’s 1998 World Cup squad not to play for a top flight club. In the 1998 World Cup he played in England’s famous second round match against Argentina, scoring in the penalty shootout. In the autumn of 1998, Merson transferred to Aston Villa for £6.75 million. He quickly established himself as a fan’s favourite due to his creative and flamboyant brand of football. He remained at the club for nearly five years, helping them reach the 2000 FA Cup final. Merson later signed for Division One club Portsmouth, and was instrumental in the club’s promotion to the Premiership in 2002-03. In the summer of 2003, Merson moved to Division One side Walsall. In February 2004, he admitted himself to the Sierra Tucson Clinic in Arizona to seek help for his gambling addiction, and missed several key games whilst Walsall slipped into the relegation zone. A couple of months after his return, Merson took over as manager at Walsall. After a few seasons at Walsall, and a short spell at Conference club Tamworth, Merson announced his retirement in March 2006. Since retiring from the pitch, Paul has taken up a position as a popular pundit and columnist. Paul can be seen each Saturday on Sky Sports’ Soccer Saturday, alongside Matt Le Tissier, Charlie Nicholas and Phil Thompson.